After the class you will be seated in the Enoteca and dine on the wonderful dishes you have just prepared with a glass of European wine and Illy coffee. Class start time is 9am. Class & lunch finish at approximately 2pm. 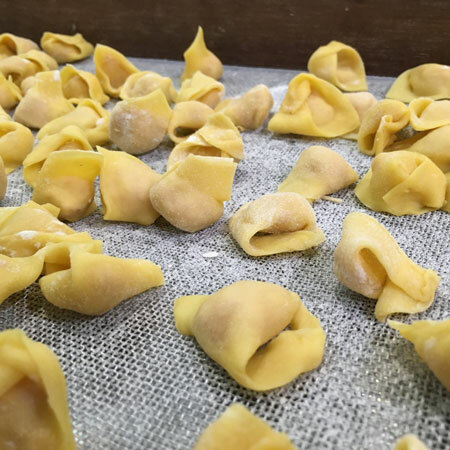 Matteo’s philosophy is to teach recipes that can be easily replicated at home so you can replicate these wonderful dishes for your friends and family. 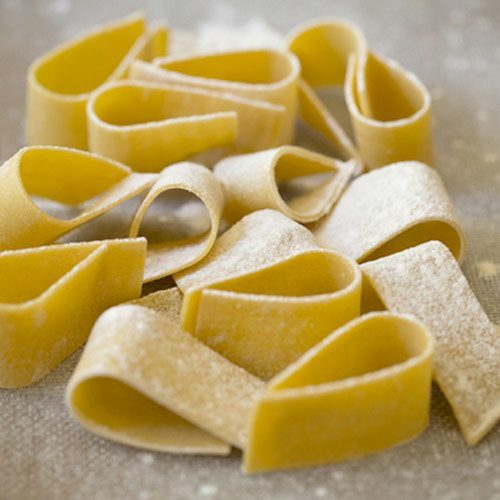 If you would like to invite a friend to join you for the Italian Long Lunch at midday after the Taste of Italy class please advise at the time of booking, the cost is $85 per person and includes the 4 course lunch, a glass of wine and coffee. Please note: the menu may vary according to availability of produce on the day of the class. If you have any dietary requirements we recommend you contact us prior to booking your class to ensure the menu is suitable. Casual clothes, closed in shoes (no thongs or sandals), and long hair tied back. There is a no refund policy for any reason. However, class exchanges will be made with at least 30 days notice prior to the class date. Casa Carboni reserves the right to cancel or reschedule classes. In the event a class is cancelled, all students will be notified and full refunds given. If a class is cancelled you may also choose to exchange to another class. Gift Certificates are valid 12 months from the date of purchase and are not redeemable for cash. Culinary activities such as Cooking Classes at Casa Carboni have inherent risks, dangers and hazards and participation in such classes and events may result in injury or illness. 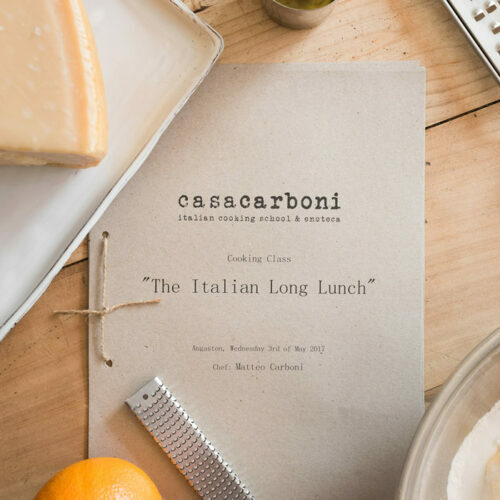 Casa Carboni, and each of it’s present owners, agents and employees are not liable for damage, losses or personal injury resulting from participation in Casa Carboni Cooking Classes or events. For safety reasons we discourage guests wearing high heeled shoes and guests must wear closed in shoes during all cooking classes. Cooking school guests are welcome to take still photographs during their cooking class or cooking demonstration and afterwards in the enoteca. The filming of cooking classes in the kitchen and afterwards in the enoteca is not authorised, unless written permission is given. If a commercial photographer or film crew is present during a cooking class, guests will be asked to sign a release form and have the right to not be included in the photographs or filming. 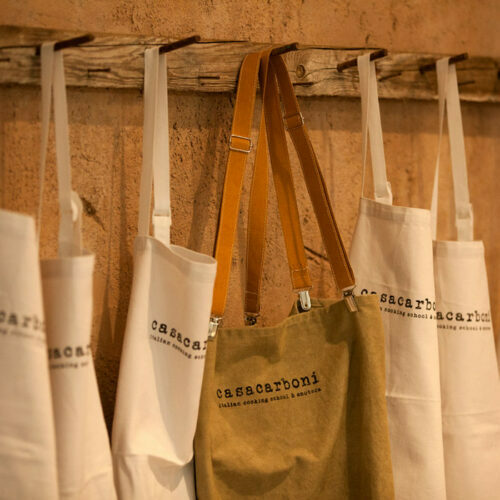 It is appreciated if non cooking school guests ask permission prior to taking photographs of the interior of Casa Carboni. It is not permitted for non cooking school guests to take photographs of cooking school guests while a class is in progress.